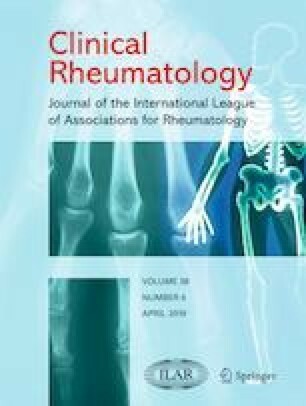 To investigate the cause-specific mortality and the possible involved clinical characteristics with increased mortality in a cohort of 700 patients with crystal-proven gout. The cause-specific mortality of gout was compared to the mortality of the general population. Patients with arthritis referred for diagnosis were consecutively included in the Gout Arnhem-Liemers Cohort (GOAL). Joint fluid analysis was performed in all patients and only crystal-proven gout patients were included in this study. At inclusion clinical characteristics and laboratory values were collected. At follow-up patients who died were identified. Standardized mortality ratios (SMRs) were calculated for all-causes, cardiovascular diseases, cancer, and infectious diseases using indirect standardization methods for mortality outcomes and compared with the general population. The clinical characteristics of the patients who died were compared with those of the survivors and were analyzed by a logistic regression analysis to identify any associations with mortality. The study population at inclusion contained 573 (81.9%) men and 127 (18.1%) females with an average age of 62.0 (SD 13.4). During 3500 person-years from inclusion visit till 31 May 2016, in 700 gout patients, 66 deaths (27 cardiovascular deaths, 15 cancer-related deaths, 8 infectious deaths, 16 various other causes) occurred in this cohort. The all-cause standardized mortality ratio in gout patients was 2.21 (95% CI 1.68–2.74). In this cohort, gout patients had a higher SMR for death attributed to cardiovascular diseases (6.75; 95% CI 4.64–8.86), infectious diseases (4.66; 95% CI 1.51–7.82) and cancer (3.58; 95% CI 1.77–5.39). Corrected for confounders high serum uric acid levels (SUA; > 0,56 mmol/L), tophaceous gout, a history of peripheral vascular disease, myocardial infarction, and heart failure at the inclusion visit were associated with increased mortality during follow-up. Compared to the general population, gout patients have an increased association with all-cause disease mortality, especially attributed to cardiovascular diseases, cancer, and infectious diseases. This association is strongest in hyperuricemic (uric acid levels > 0,56 mmol/l) and tophaceous patients and in those with a history of peripheral vascular disease, myocardial infarction, and heart failure. Preventive measures like treatment of high SUA levels and treatment of cardiovascular risk factors need to be considered and evaluated. We wish to thank E.P. Martens (Statisticor) for the assistance by the statistical calculations.